Home / Overstuffed Sandwiches and Wraps / B.L.T. Wooglin’s is the best place in Colorado Springs to get a classic B.L.T. sandwich. Everyone loves a good old fashioned B.L.T. 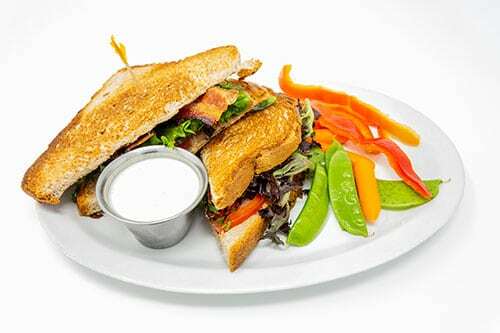 This traditional bacon, lettuce, and tomato sandwich is served on our delicious house-baked walnut wheat bread. Served on the side is your choice of house-made chips, veggies, or potato salad.